This year I get 33. Till I get 34 I want to take at least one picture per day. My birthday will be the Day One. 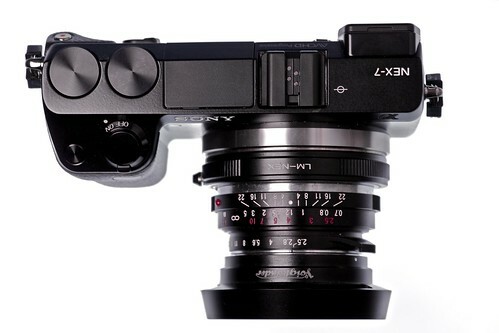 For my birthday I’ve got a Sony NEX-7 with the intention of using it as an high quality walk around camera. I wil publish here just one photo a day, each and every one taken the NEX-7. I will keep taking pictures with my other cameras, you can check them out on my flickr page. Just got the Nex7, started fiddling with it but I can't get it to recognize my nokton lens. Would you mind sharing how you setup yours? Setup/Release w/o lens has to be enabled in order to use your nokton as well as any other lens connected by mechanical adapters. Then I suggest you to switch off the Auto Review and the Grid Line, set the Peaking Level on High and the Peaking Color on White, MF Assist On, Front Curtain Shutter Off. Finally you should set Setup/Custom Key Settings/ AF/MF button on MF Assist and then switch the mechanical AF/MF-AEL level on AF/MS. This way, whenever to press the button in the level you get a magnification of the image which helps a lot for manual focusing. I am sure you'll love this little camera, it keeps amazing me even after one full month of use!